Caboolture Physical Therapy Centre has been established for almost 30 years. We use evidence-based practice and advanced techniques. Our Therapists are highly trained and have more than 100 years' experience between them. Our practice offers a range of exercise classes, from Pilates and Balance Improvement to Group Circuit Training. Our services are available to private patients of all ages, Worker’s Compensation clients, Medicare (EPC) clients, Veterans and Third Party Insurance clients as well as other funding providers. We aim to help you find the best pathway to feeling energetic, pain-free and happy in all physical aspects of your life, at any age. After all, Healthy and Happy go together! Our expert therapists are constantly developing and perfecting the best interventions to take you from injury to achieving your good health goals. 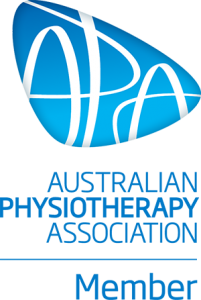 Our practice is endorsed by the Australian Physiotherapy Association. We have been established for over 25 years and our staff have more than 100 years’ experience between them!